Looks like a beautiful choice! If you have a minute could you tell me what is the name of the two grasses in the photo where there is a big hop bush with the house in the background with the tile roof? Those aren’t grasses, although they do resemble an ornamental grass. The plants are called desert spoon (Dasylirion wheeleri). HI–we live in a “cookie cutter” house with a small backyard. Would the hop bush be good for a privacy hedge? How close together should they be planted? Hop bush makes a great privacy hedge! I would recommend planting them 6-8 feet apart, which will give them room to grow. What about Bamboo? I see it occasionally and the clumping varieties look really nice. Also seems more dense for soundproofing all those yards next to a busy roadways. 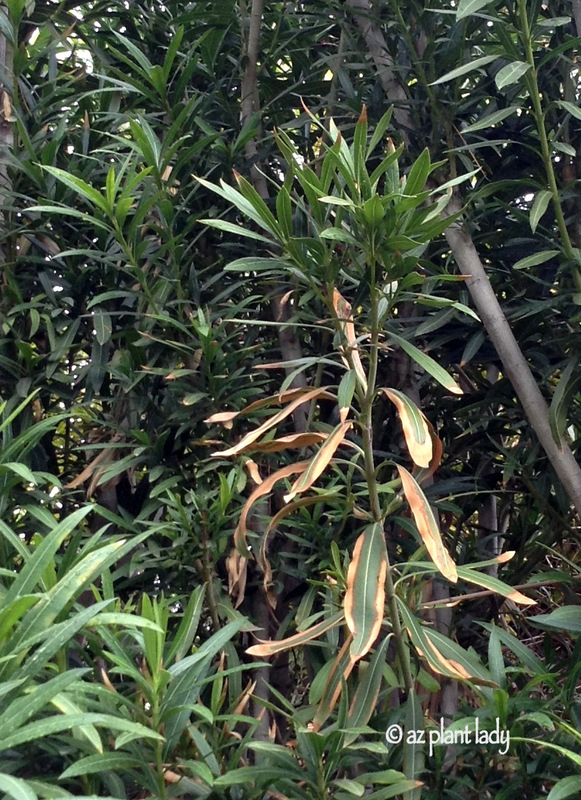 Bamboo does grow well in the low desert, with supplemental water. However, it can become quite invasive and I don’t recommend it for that reason. Thanks for the reply. My understanding is that there are two different kinds of bamboo. The running and cluping varieties. I understood that the latter is not invasive. Is that incorrect? I know there is a place in Tucson that sells bamboo. How would hop bush do when we have one of our cold snaps/freeze, would it have to be covered? Hop Bush does just fine when we experience winter temps down into the upper 20’s. However, it they get down into the low 20’s, they do suffer frost damage.